Wendy became a ZHEST trustee in 2013. She was born and raised in Harare, Zimbabwe. She was also educated in Zimbabwe from junior school to High school. Wendy attended university at Middlesex University and she is a qualified Mental Health Nurse. She has always wanted to give something back to Zimbabwe. She believes in the power of education to support young people, who are aspiring to break the cycle of multi-generational poverty in their families and communities. Wendy currently works as a Specialist Deliberate Self harm practitioner and she enjoys working with children. 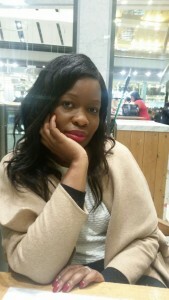 She has qualifications in Leadership and Management and is also a director for a company that specialises in fashion. She hopes to utilise her skills to aid ZHEST and its beneficiaries. She is married and she lives in London. Her interest includes travelling, cooking, music and fashion.